I’ve tried to use some existing commenting systems before, but these tended to not integrate nicely with my accounts system. I do like writing my own stuff though, so I upgraded mine. Some images to start with! DAoCDB was the first comments system I wrote many years ago. Ugly terrible and bad. Defiance Data was my first site that took off, and so I spent more time writing the system for that. It’s received a few minor cosmetic upgrades over the years. 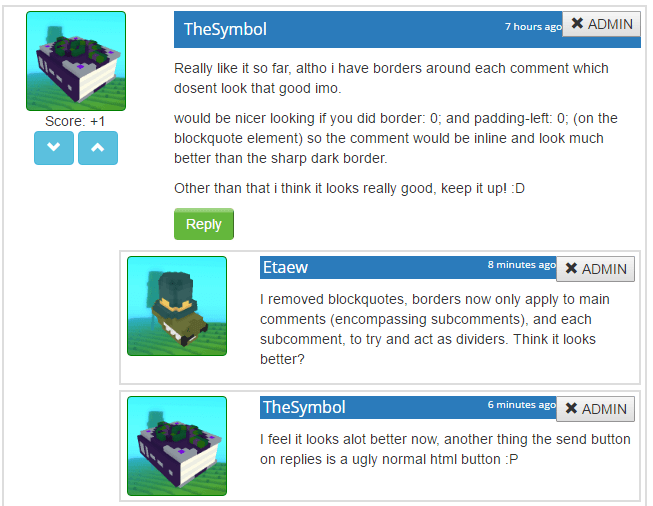 After allowing just standalone text in the comments I wanted to allow people to quote and reply like they would on forums. I didn’t style it in the best way though and it was quite confusing. 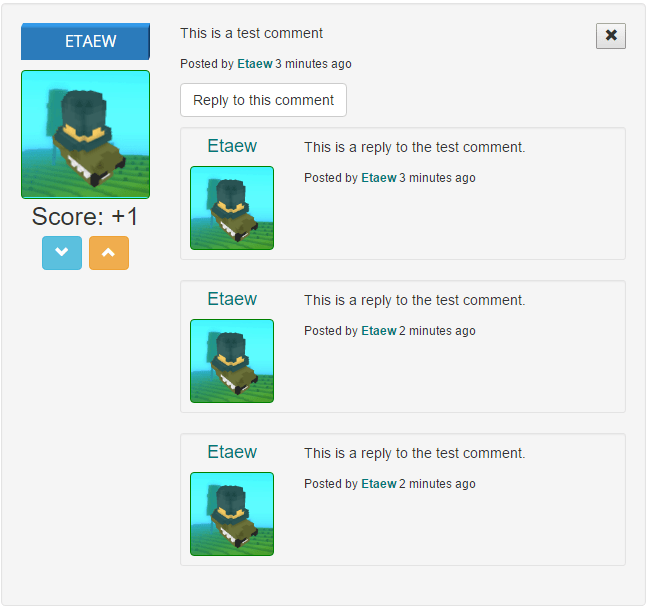 When I launched Trovesaurus and it used the same commenting system. It wasn’t until I launched AtlasReactor.info that I wanted to take it in a new direction. 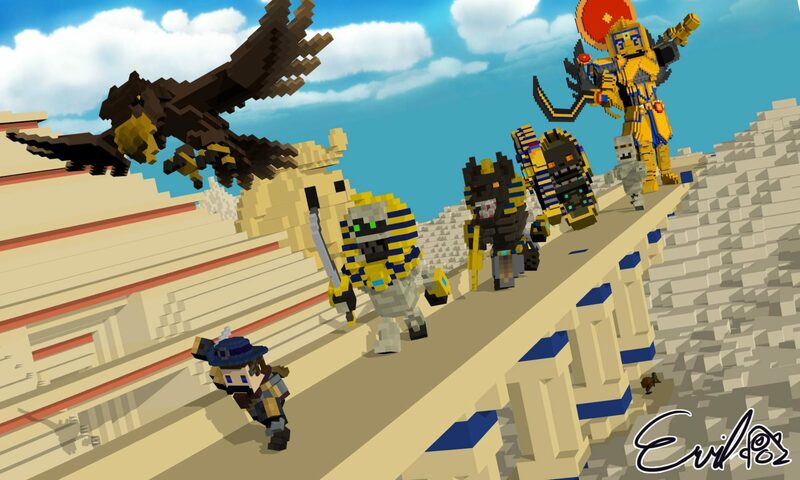 The AR system added the concept of threaded comments and votes, members could up or downvote individual comments, and people could reply to comments and make comment threads. This stopped the need to keep quoting things. Trovesaurus then received the basis of that. The first draft was still fairly ugly. This made it so that people didn’t have to reload pages or lose their place. Less painful than I thought it would be, I’m not sure why I’ve always avoided it. It’s still a work in progress, and without feedback it wouldn’t be getting the constant updates. PDO – PHP Data Objects is a database access layer that the web developer community has been shifting to over the past few years mostly because of the enhanced security that prepared statements offer. Over the past few weeks I’ve been trying to make the transition. It’s a pain! I didn’t realise just how much I was relying on PHPs MySQL functions, from mysql_fetch_assoc() to mysql_insert_id(), I had to rewrite a large portion of my sites database interactions. I still haven’t got a reliable way of getting the last id inserted, it’s meant to be the following, but I have had some odd returns so I’m not that confident about it. 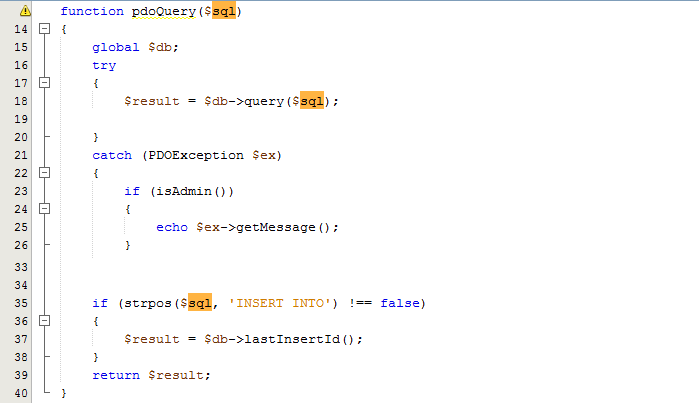 For the transition I am running both systems side by side, I have another query function mirroring my “query” function called pdoQuery. This allows me to essentially run the same SQL, and output any errors same as with mysql_error until I am ready to move over to parameterized query. Instead of using mysql_fetch_assoc in my loops, I wrote another function to get a single result in an associative array and an array of results. This is a bit clunky and I guess I could remove the $rows assignment and iterate through $result->fetchAll(PDO::FETCH_ASSOC) directly. I’ve still got a lot to learn about PDO, but I’m working on it. For a long time I had odd issues when I tried to generate images. I was using php to include my general site scripts which provided the db connection and common functions but the images always generated an error. I had to do away with trying to include the common functions as it was the only way to get the image to generate. This makes sense now as I fixed another issue. 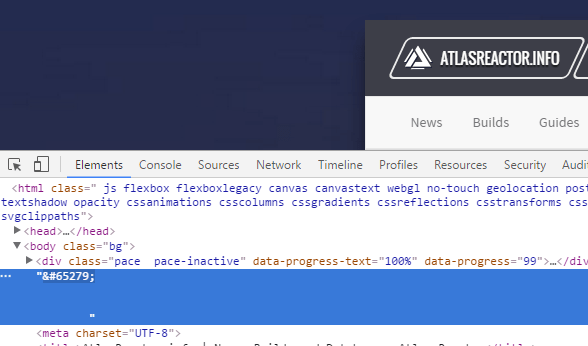 I noticed after creating a new file (with copy and paste from an older one) that a space started appearing at the top of my site. As well as the &#65279; character in the header. The answer mentioned that character was a zero-width no-break space that was commonly used as a byte-order mark (BOM). This didn’t really mean anything until it was mentioned to look it up in Notepad++, and there it was. The encoding on the bottom-right was UTF-8-BOM while my other files were UTF-8. So from the top menu, Encoding button, I selected Encode in UTF-8, saved the file and uploaded and the problem was sorted. Drops on both Defiance Data and Trovesaurus were expected, just sad at the number. Work on site enhancements continue along with ramping up designs for new sites.